Is The Commission Machine A Scam? Let’s say I walked up to you in the street and offered to pay you $2,642 every day for the rest of your life, IF you just open up your wallet and give me $47 first? Probably that I was a total nut or a downright liar, right? And yet this is exactly what Michael Cheney promises you in the Commission Machine promo. He claims this is the money making method that works even if you’re starting from scratch with no email subscribers, no money and no previous experience. But is The Commission Machine a scam designed to fool you or a legit money making method you should buy in to? Best For: Experienced affiliate marketers who already have website traffic and email subscribers. Don’t let the name fool you – this program won’t be pumping $1000’s into your bank account. The Commission Machine is a 7 video training course teaching people how to find make money online programs and promoting them via email. Unfortunately this machine has more than a few vital cogs missing with no training whatsoever on how to build a landing page, create opt in forms or even find subscribers you can send these emails to. I’d say it’s virtually impossible for beginners to make any commission at all using these methods and can not recommend it. It’d be a miracle to make your $47 back, let alone $2,642 a day. That’s a great question because if I’d just watched the sales video and read the landing page I’d still have absolutely no idea! The Commission Machine by Michael Cheney is a 7 module video training course that says it’ll teach you the secrets and strategies you can implement to make $2,642.60 per day. That’s a whopping $964,549 a year! Similar to other training products like Evergreen Wealth Formula, Michael says you’ll make these amounts of money by running email campaigns that promote affiliate offers to others looking to make money online. You’re told once your payment has cleared you’ll gain access to a system you can ‘copy and paste’ to earn money through email marketing by promoting affiliate marketing products even as a complete beginner. You’re told you don’t need a website or a list of email subscribers to start making money. If this all seems a little too good to be true, you’d be right. Michael Cheney gives you a live demonstration of him transferring $85,000 from PayPal to his bank account. So many online training products within the make money online world package themselves as complete ‘systems’ ‘formulas’ and yes, ‘machines’. It gives potential buyers looking for a way out of the rat race the false expectation that earning an income online is as simple, easy and automatic as clicking a few buttons then sitting back and watch as your bank balance shoots up. The only way to make a substantial and long-term income online for yourself is to start a real online business. It takes work, it takes time and it takes commitment to see it through… but you can be successful ONLY IF you can free yourself from the ‘get-rich-quick’ mentality that holds back so many. How Do You Make Money With The Commission Machine? What’s the system he teaches and how are you going to make almost $1million a year? Since the landing page and promo video don’t tell us much, this is a great question to ask. I decided to try the course and find out for myself. Module 1 consists of a 28 minute video where Michael Cheney gives an overview of what he likes to call the RAPID method. The next modules will go through each of these in more detail. Since you’re going to be promoting make money online products in the hope of getting an affiliate commission, in this first step, Michael will show you how to find the best products to promote on JVZoo. He teaches that the best products are the ones that get you the highest commission or are the highest converting. The fundamental flaw in this strategy is just because a product converts well doesn’t mean it’s a good product. Speaking from my own experience and after reviewing 100’s of JVZoo’s products I can tell you 90% of them are utter rubbish. Is this really the road you want to go down? Now you’ve chosen a product to promote, module 3 is all about putting your emails together. Since you only make money if someone opens your email, clicks on the link and buys in, Michael shows you the email templates he uses with attention-grabbing headlines. This is all about giving prospects reasons to buy in and more specifically, buy in through your link. This means employing scammy selling tactics like giving false time pressures, i.e. “Only available for the next 7 minutes – don’t miss out!” to try and add a bit of urgency and increase conversions. Michael talks a lot about offering bonuses as an incentive to help push people into buying what you’re offering. And last but not least… you’ve got your offer, written your emails giving people an incentive to buy, now it’s time to get these in people’s inboxes. This means you’re going to have to pay out for an autoresponder service like GetResponse and start adding your emails. If you’re a beginner, the chances are you have no email subscribers in which case, who exactly is going to be reading your emails, nevermind buying what you’re promoting. On the other hand, if you’re already a seasoned online marketer who’s already had experience with affiliate and email marketing you’ll not learn anything you don’t already know here. RAPID makes for a great sounding acronym but there’s nothing “magical”, “secret” or “revolutionary” about sending affiliate offers via email. What if you’ve got no list? As we’ve just seen, modules 1-4 are only applicable if you’ve actually got a list to send to. He very briefly mentions setting up a website (highly recommended) but he then doesn’t go on to tell you how to go about it. and still doesn’t address the major issue of getting visitors and traffic to your site, not to mention how to create an opt-in form so you can start building a list of subscribers. When you add up the 7 training videos the total amount of training is less than 3 hours. Affiliate marketing, whilst being a very valid way of earning an online income, is just not possible to master in such a short amount of time. How Much Does The Commission Machine Cost? In 2017 The Commission Machine price was $19.95. In 2018 The Commission Machine is $47.00. While I recognise the creator has the right to change the price of his product at any time, it seems odd considering no other updates or extras were added to justify the increase. Almost every JVZoo product out there has numerous upsells attached to them. The Commission Machine is no different. If we’re going to talk honestly about what this system is going to cost you we’re going to need to factor these in as well because, well without these upsells you’re less likely to get the results they’re promising. You think you’re paying $47 to get the full system but in reality you’ve just taken your first step inside their sales funnel, designed to squeeze even more cash out of you. You’ve literally just paid for Commissions Machine and before you can put your wallet back in your pocket you’re hit with the first upsell. Golden Ticket claims to help you make commissions even faster and easier. Getting access to Michael’s monthly live webinars will set you back an extra $27 a month or a $197 lumpsum for lifetime access. You haven’t got to the actual member’s area yet when you’re hit with the second upsell. Commissionology comes with yet another monthly membership fee of $27. The sad truth is that the Commission Machine doesn’t equip you with what you need to apply what they’re teaching you. You’re going to need to make sure you have the budget for an email autoresponder service like AWeber who have a 30 day free trial then it’s $19/month for up to 500 subscribers. You’re probably going to need a website too. This means buying a domain name and hosting for your site. Who Is The Commission Machine For? The Commission Machine claims it’s a system for stone-cold newbies with no subscriber list and no money but I don’t think it is. As we’ve already seen, you’re going to need a list and you’re going to need money before you can make this work. Don’t get me wrong, the training content is good and there’s definitely something you can learn from it as a beginner, I just think the chances of you actually making any money with it are small at best. There’s just so many things you need to have in place before making money with affiliate marketing like a website, landing page and most importantly, daily website traffic, especially in the long-term. If you’re a beginner looking to get started in affiliate marketing this course is a much better fit. On the other hand, if you’re a more experienced affiliate marketer with an already established site and growing list of email subscribers then you’ll get a lot from this course that might help you take your email marketing campaigns to the next level. If you can get past the hyped-up sales tactics and the upsells to the training course itself, it’s pretty well put together. He teaches from his own experience which shows through in his confidence and the quality of the videos is better than the vast majority of similar training courses I’ve seen out there. I really like the fact he doesn’t just tell you how to do it, but he shows you how to do it too. For example, when he’s talking about putting emails together, he’ll switch to his screen to show you examples of what kind of headings to use and how to lay it all out so you can see it for yourself. Despite my complaints about how Commission Machine is promoted and my issues with the gaps in training, fundamentally Michael is talking about earning commissions with affiliate marketing, which is a solid business model that works. Which is why I encourage and teach others how to launch their own successful affiliate marketing businesses online. I know it works because it’s how I make $6,000+ per month online. As I say, you can become very wealthy through email and affiliate marketing but you do need to have a website in place that generates traffic. This is always a big plus, right? Because Commission Machine is a JVZoo product, it comes with a no questions asked 30 day money back guarantee as standard. I’ve mentioned this point already but let me hammer it home once and for all. Commission Machine teaches you how to run email campaigns which is all well and good, but with no email subscribers and no way of getting email subscribers how on earth can you make any money? Email marketing can be a brilliant additional income stream for experienced affiliate marketers who already have a website that attracts a lot of traffic, otherwise it’s just not going to help you. You see, a website is the foundation for earning money online and not just that, but a website people actually visit. Anything else is just window dressing. I just don’t think Michael’s alternative traffic-generating techniques are good enough either, nowhere near. His “No List Method” consists of a short 13 minute video where he talks about spamming comment sections of Facebook with affiliate links. Hardly what anyone would call a secret money making method, let alone a long-term business plan. 2. CRAZY income claims… seriously guys! Make $1000’s a day starting today! Just copy and paste and watch the profits start rolling in! Honestly I’m surprised people still fall for this crap. Instead of giving you even a small clue about you’ll be learning or giving any indication as to the method you’ll be using to make money, the sales video bombards us with lots of dollar signs followed by lots and lots of zeros. Nothing but promises leading to a huge letdown. Of course we know why – hype sells. And rather than genuinley looking to help people put money in their pockets, they’re just filling their own. 3. Where are your email subscribers? You’d think a 7 module course on email marketing would at least mention something about how to start and grow an email list but no, nothing. All you’re taught is where to find links to products you want to promote and how to put together sales emails. If this is the Commissions Machine then I’d say there’s more than a few vital cogs missing. These are the basic starting blocks of any serious email marketer but you’ll never hear them mentioned once in the training. You could have the highest converting offers with the best written emails in the world, but without anyone to read them your bank balance stays at zero. The Commission Machine course teaches people how to sell low quality get-rich-quick schemes that works for no-one, so don’t be surprised when Commission Machine doesn’t work for you. Why won’t it work for you? Because without an email list you’re told to spam Facebook groups with links. Yeah, you’ll never make money doing that my friend. People are more sophisiticated online nowadays and they can spot spam a mile off and they won’t just click on random spammy links on Facebook or anywhere else for that matter. But more importantly than that, is this really the road you want to go down? You can only get away with promoting crappy get-rich-quick schemes for so long and it’s definitely not something you want to base your future financial success on. Can a training course be labelled as a scam if it’s telling people to post spammy links on social media? Is Commission Machine a scam because it teaches you how to promote scams to others in the hope of a quick buck? Commission Machine doesn’t live up to it’s own hype. Michael Cheney knows a lot when it comes to email marketing but he hasn’t done nearly enough in my opinion to help people start earning online. If you’re determined to give The Commission Machine a try click here and go right ahead, but I can’t recommend it. It’s just an old method that’s been around since people dialed up to the internet and it just doesn’t work. The problem is you’re always having to chase new subscribers and trying whatever you can to get them to click on your links, usually without much success. I make over $6,000 a month in affiliate commissions by setting up websites around topics I’m actually interested in, and beause I’ve learned how to get my sites at the top of search engines I never have to worry about chasing down traffic or wondering where my email subscribers are going to come from ever again. And that’s without the need to do any selling or needing an advertising budget. Every day I get tons of free and targeted traffic clicking through my affiliate offers because they come looking for me, not the other way round! Start earning commissions the right way using the same training I did and get your business rolling today. The beginner’s training course is completely free without ever needing to open up your wallet. And you’ll get my support every step of the way, I’ll be on hand to coach and guide you through the training personally. Thank you Simon for this Commission Machine review. You’ve confirmed what I already suspected. I never react to hype no matter where it is. In ‘normal’ stores if salespeople come and put the pressure on I just walk out. On the other hand, I can tell when the shop rep is really enthusiastic about the product being sold. And then I stay and listen. Another thing is the ‘count down’ information. As soon as I see this I am out of there. I followed through a bit once, out of curiosity. The first day there was a number of places left and a time limit. The next day the number had increased and so had the time limit. Now that doesn’t give much confidence to the reality of any program. It strikes me from your review that the Commission Machine doesn’t have much substance for anyone, let alone tyros (new starters). And instant money is, unless very good fortune strikes, so unlikely as to be a myth. The amount of knowledge they impart is quite scant when there are better programs around. I’ll be checking out your free training course and just so you know, I’ll probably have a lot of questions so I’ll be getting in touch! I think, on the whole, we’re getting a lot better at spotting false hype and cheesy marketing tactics, though unfortunately there’s still a lot of scams around, which means there are people still believing these kinds of claims and handing their money over. You are more than welcome to bother me as much as you like. I’m in the member’s area every day answering questions and helping people just getting started so don’t worry! It’s exciting to be a part of someone journey and to celebrate the milestones together. This is an awesome review of Commission machine, I just wish I’d seen it sooner. You’re right, it appears that this is another one of the scams out there that make as much money as possible and rebrand it into something else. I got sucked into this one I’m ashamed to say. $47 to start and upsales of $197. I’m just glad that it only costed me $47. Thank you for your honest review. I’m really sorry to hear that Dan! Did you try getting a refund within the 30 day period? Yeah upsells really do make me mad for so many reasons, the main one being if the product is as good as you say it is then I shouldn’t need any upsells! But of course, it’s usually part of a bigger sales funnel designed to get you to part with as much cash as possible. Im not a big fan of the word scam either because there are a lot of opportunities that are terrible but can work. In my words I have no problem referring to a bad opportunity just as that, a bad opportunity. My problem is when people make such glorious claims. The problem is that when people are desperate they will fall for these claims. All in all there are much better opportunities out there. Thank you for a great review. People need to see the truth about these opportunities that arent so good. Most training courses and programs out there aimed at people looking to get started online are just that – not good, low quality products where the training has clearly just thrown a few ideas together and calls it a course. If only they took a bit more time and effort to actually help the people buying their training we’d all be a lot better off. 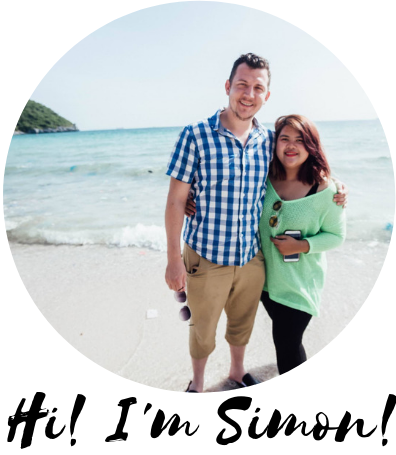 Hi Simon – Thanks for the in-depth Commission Machine review, Michael Cheney is very good at branding and catchy titles but none of the ones I tried ever worked. I’d recommend anyone to avoid anything by this guy, especially 7 Figure Franchise. Avoid it like the plague because his only goal is to take money out of your account and put it in his. Thanks Michelle, I’m going to be reviewing 7 Figure Franchise very soon, I was shocked to see he’s charging people $2,200 for it! So far is seems all of Michael’s courses and systems etc. are pretty much identical – the landing pages and promo videos are all full of the same spiel. I get the same feeling… Commission Machine is a great and catchy name with attention grabbing claims but in reality there’s nothing new here. Those few videos he made? Not even worth $47. Gives you old information (and bad advice) you can find anywhere online for free.